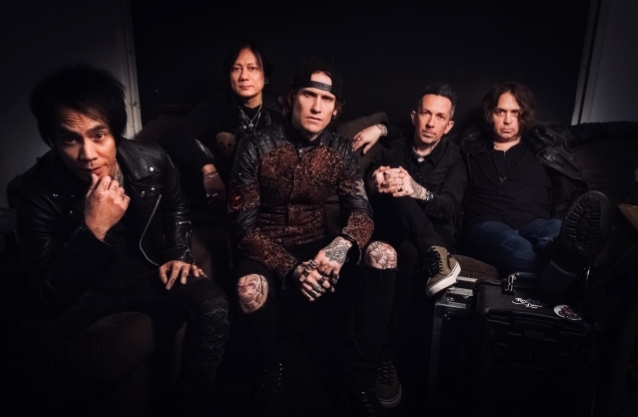 Buckcherry have expanded their 2019 Warpaint North American tour with news of the run’s second leg. Currently playing shows in support of their eighth album, the group will wrap up the spring leg early next month before enjoying a two-week break; they’ll launch a four-month second leg – including some opening slots with Nickelback and Aerosmith - with four Texas dates that will begin in Waco on May 18. As they’re doing on the spring run, Joyous Wolf will continue to support Buckcherry throughout most of the summer shows. For ticket details, visit buckcherry.com. Buckcherry recorded ”Warpaint” with producer Mike Plotnikoff; the set marks the follow-up to 2015’s “Rock ‘n’ Roll”, which reached No. 93 on the US Billboard 200.